Even now, Robredo continues to make the Opposition look bad thanks to her many public gaffes, misinformed and misguided pronouncements, and utter lack of coherence or consistency in thinking. 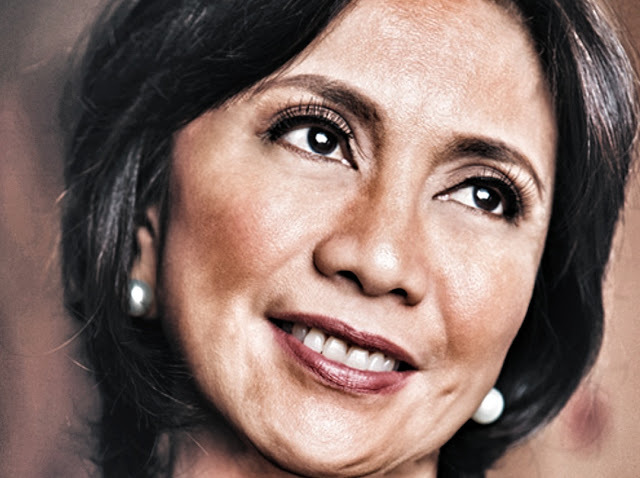 Indeed, Robredo represents the worst of what makes the Philippine Opposition such an ineffective political movement today -- directionless, bereft of long-term vision, steeped in religious hocus-pocus, and applies a pitch to the electorate hinged on a long-obsolete victim worship mentality. Worse, for her mainly, is the electoral fraud investigation she is currently embroiled in. She stands out as an example of the way her own Yellowtard camp routinely hangs people out to dry once the going gets tough. Perhaps this is just as well for the Opposition. It makes it easy for them to ditch Robredo as a key representative of their cause. The sooner they do this, the better off they will be, specially now that the 2019 elections are fast approaching. The last thing the Opposition need is to be associated with a person who had been reduced to a sad public laughingstock.